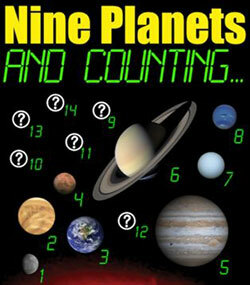 Bring your family and explore the universe at the Bushman Planetarium. The planetarium features a Digistar 4 projection system and a dome that is tilted slightly, rather than directly overhead, making viewing easier. A 17-channel stereo sound system enhances your viewing experience. Tickets are $5 for adults, $3 for children, students, military and seniors. For more information, call (816) 271-4288. 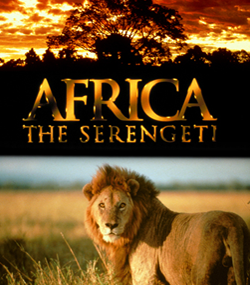 Chronicles a spectacle that few humans have ever witnessed, the Great Migration, taking viewers on a journey with over 1.5 million animals as they travel more than 500 miles across the Serengeti plains in Tanzania and Kenya. Narrated by James Earl Jones. They lurk in the universe like cosmic dragons, unseen voids with the energy of a million suns. They can devour entire stars, and once in their grasp, nothing, not even light, can escape. Few mysteries in the universe have the power and awe of the black hole. Only now are we on the verge of understanding their true nature. What are they? How are they made? Is the earth in danger of being pulled into one? Discover the answers in the original full-dome production “Black Holes.” Narrated by film actor John de Lancie (“Q” in the Star Trek TV series), this new immersive digital theater program incorporates some of the most visually stunning three-dimensional effects ever created for the dome. 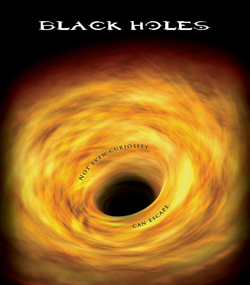 Designed for all audiences, this full-length production features 3-D simulations of black holes and the strange physical and visual effects they can create. With the help of science advisors from around the country, audiences will be able to see and feel what it might be like to approach the supermassive black hole at the center of our own Milky Way galaxy, or speculate on the existence of “worm holes,” theoretical portholes in space and time. For centuries, humanity has wondered whether we are alone in the Universe. Now, we are finally one step closer to knowing the answer. With the discovery in 1995 of the first planet orbiting another star, we now know that planets are not unique to our own Solar System. In fact, these “extrasolar” planets now appear to be quite common. No one has yet found an Earth-like world with conditions similar to ours, but it now seems only a matter of time. And as the quest for extrasolar planets continues, the possibility exists that one day we might find life elsewhere in the Universe, born in the light of another sun. In our newest original production we’ll explore what makes a planet “Earth-like” in the first place, and take an immersive full dome tour of several worlds that just might fit the conditions we’re looking for. From water worlds to molten landscapes, inhabitable moons to planets with multiple suns, these exotic worlds aren’t just science fiction anymore! Narrated by noted film actor Rene Auberjonois. Come close to nature’s most powerful and extreme forces. 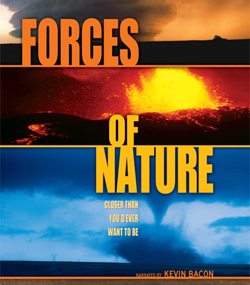 Cameras capture large-scale volcanoes, earthquakes, and storms as a team of scientists travel the world in an attempt to figure out what causes these dangerous, yet undeniably thrilling natural occurrences. 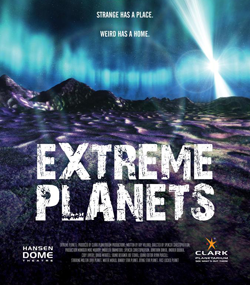 Putting their lives on the line in the name of scientific discovery, the experts forge their way through erupting pits, through volcanic flows, along fault lines, and in cars heading straight for tornados’ eyes. Narrated by Kevin Bacon. Fractals is a spectacular show that gives viewers a tour of the fractals in nature, endlessly repeating patterns made from simple algebraic equations. While these fractal zooms are mathematical abstractions, audiences are always amazed to recognize that patterns of nature – shapes such as trees, lightning, coastlines, insects, bacteria, seashells and more – can all be found within a fractal zoom. 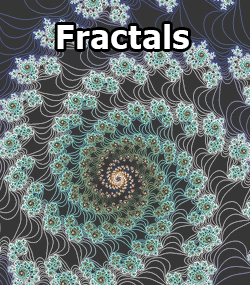 Each fractal tells the story of the processes that created it. Since its launch in 1990, the Hubble Space Telescope has provided incredible images in unprecedented detail to astronomers, and made an astonishing array of discoveries – from nearby objects in the solar system to the most distant galaxies at limits of the observable universe. 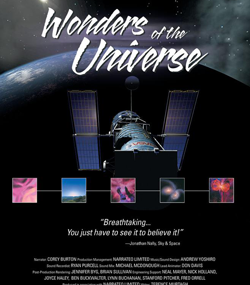 We’ve taken the best and most exciting Hubble images and woven them into an engaging story of cosmic exploration, bringing the wonders of the universe to audiences everywhere. HUBBLE Vision 2 is a fascinating tour of the cosmos – from Earth orbit. 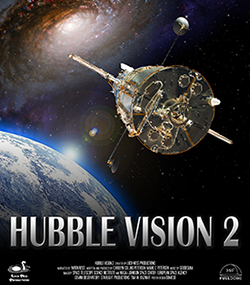 HUBBLE Vision 2 is actually our third show about this remarkable observatory. In this all-new production, major themes in current astronomy and cosmology are presented: new views of the planets; peeks into starbirth nurseries; visions of stardeath in its many forms; explorations of star clusters and galaxies; and views of the universe when the earliest galaxies were first coming into being. We catch glimpses of solar system objects, including the Moon and Venus; clouds on dusty Mars; Comet Shoemaker-Levy 9’s crash into Jupiter; storms on Saturn, Uranus, and Neptune; and the faraway worlds of Pluto and Quaoar. Beyond the solar system, we explore protoplanetary disks in the Orion Nebula, and regions of starbirth across the cosmos. We witness the deaths of stars like our Sun; the cataclysmic aftermath of supernovae in the Crab Nebula; and the expanding rings around Supernova 1987a. We see breathtaking views of colliding galaxies; jets shooting from active galactic nuclei, powered by supermassive black holes; the eerie effects of gravitational lenses; and deep-field views of the most distant galaxies ever seen. The images in HUBBLE Vision 2 began as digital files released by the Space Telescope Science Institute, NASA, the European Southern Observatory, and by scientists working directly with HST data. Then we carefully reframed, resized, cropped and enhanced the images for optimal planetarium display. We’ve also created original artwork and graphics to supplement and illustrate other points of the show. 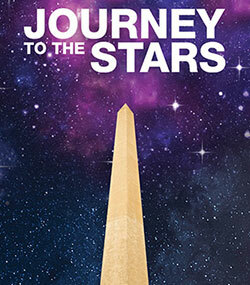 Bring the Space Telescope’s exciting discoveries to audiences of all ages. HUBBLE Vision 2 is a factual journey through the universe, as seen through the unblinking eye of one of the world’s premier telescopes – a planetarium show done in the professional style you expect from Loch Ness Productions. 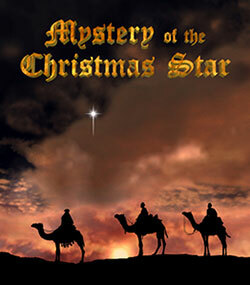 Journey back over 2000 years to Bethlehem as we seek to discover a scientific explanation for the star the wise men followed to find the baby Jesus. This modern retelling of the Christmas story is sure to charm and captivate audiences of all ages. Nanocam is a fascinating journey exploring life forms that are invisible to the human eye and contribute to a better understanding of the world we live in. 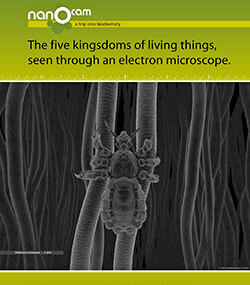 This show explores the kingdoms of bacteria, protists and their stunning mechanism of motility, the amazing structure of fungi, the specializations of plants and incredible complexity of the animal kingdom, seen through an electron microscope – a breathtaking trip into the five kingdoms of living things. This unique program, based on a scientific approach and featuring images that have never been seen before, offers another dimension of reality, a reality that is measured in micrometers. Peer deep into space through the eyes of the orbiting Hubble Space Telescope and travel back billions of years in time to witness the birth of the universe. On this breathtaking excursion, you’ll witness the formation of galaxies and explore some of the most wondrous nebulae and astronomical structures yet discovered. As your travels continue, you’ll fly deep into our own Milky Way galaxy and return home to Earth on a spectacular tour through the solar system. 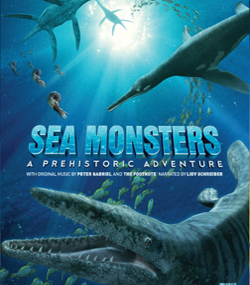 Journey 80 million years back in time to an age when mighty dinosaurs dominated the land – and an equally astonishing assortment of ferocious creatures swarm, hunted, and fought for survival beneath the vast, mysterious prehistoric seas. Stunning, photo-realistic imagery re-creates the perilous underwater realm of two young, dolphin-sized marine reptiles called Dolichorhynchops, or Dollies, and follows their incredible journey through waters ruled by some of the most awesome predators ever to prowl the Earth’s oceans. Narrated by Liev Schreiber. Our most popular children’s show has been remade for the full dome environment. 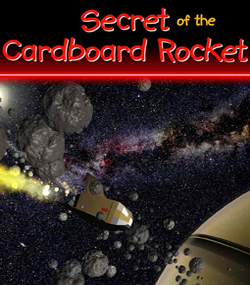 Embark on an outstanding adventure as two children spend a night touring the solar system alongside their ship’s navigator, an astronomy book. Produced with modern 3-D digital animation and a 5.1 soundtrack with spectacular effects created at George Lucas’ Skywalker Ranch. Travel to ancient Egypt to see how science was used to tell time, make a workable calendar, and align huge buildings. 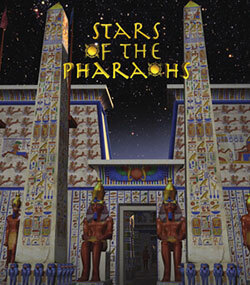 You’ll learn about the connection the ancient Egyptians felt with the stars and various astronomical phenomena, and experience some of the most spectacular temples and tombs of the ancient world recreated in all of their original splendor. 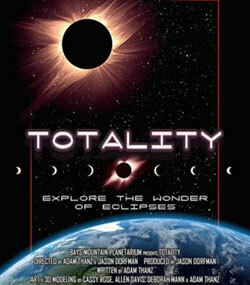 This program is all about eclipses – from lunar to total solar. We cover how they occur and what happens when they do. We look back to the proof of general relativity and look forward to upcoming eclipses and where to witness them. 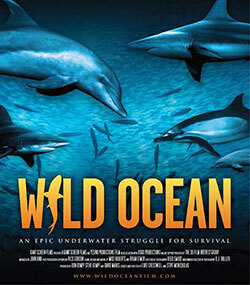 Plunge into an underwater feeding frenzy, an epic struggle for survival where whales, sharks, dolphins, seals, gannets and billions of fish collide with mankind during one of nature’s greatest migration spectacles. Filmed off the Wild Coast of South Africa and set to the rhythm of the local people, Wild Ocean reveals the economic and cultural impact of the ocean while celebrating the communal efforts to protect our invaluable marine resources.